Happy Sunday and Happy Mother's Day! We all know the saying, "Don't put your eggs all in one basket." And that is good advice for some things such as money and other life risks. But, when it comes to loving and trusting God, we are asked to do the opposite. 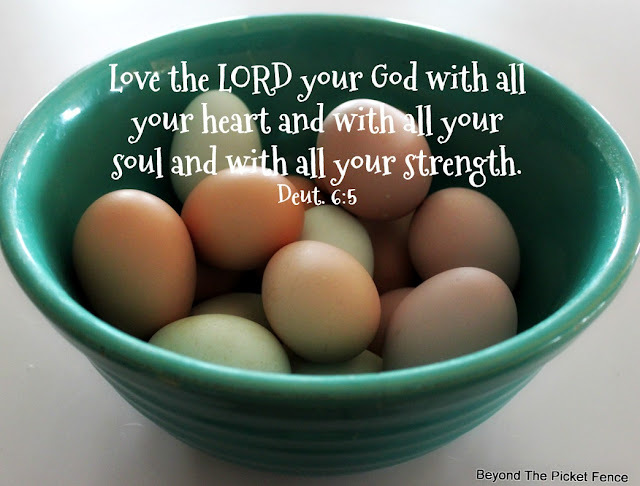 When we put all of our "eggs"--our time and efforts, our love and faith, our energy and talents--in God's basket, he will use them in ways that we could never imagine. When we simply love God and others with all we have, we find contentment and peace. This week, let's work at putting it all in God's hands and letting him do the rest, amen?! Am working on doing just that.